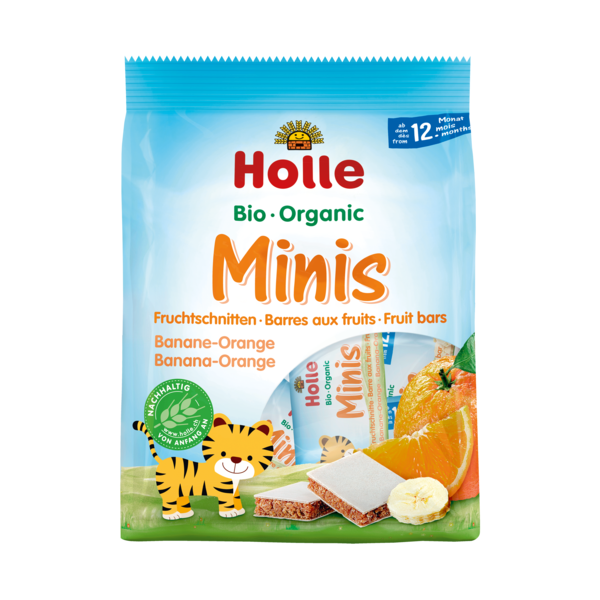 Holle Organic Minis are soft banana and orange fruit bars. 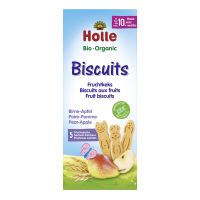 A wholesome and convenient snack made especially for little hands and tummies, they contain a mixture of fruit and rolled oats wrapped in a wholegrain spelt wafer, to help keep little hands sticky-free. 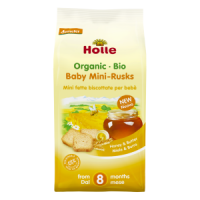 The soft yet firm texture is perfect for babies aged 12 months and over to nibble and chew, and their handy, practical size makes them easy for little hands to hold. 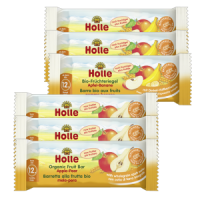 Holle Organic Minis come individually packaged ensuring the soft fruit bars are always fresh and fruity and making them perfect for pockets and nappy bags. 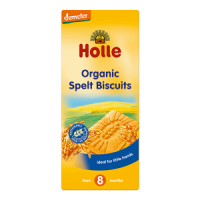 Only carefully selected organic ingredients are used to make Holle Organic Minis. Contains gluten. May contain traces of nuts (except peanuts), sesame, soy and milk. Store in a cool and dry place. My 1 year old boy just loves them. My toddler loves these no mess fruit waffles. USUALLY MY SON IS QUIET FUSSY FOR A NEW TASTE, BUT THIS SNACK HE ATE WITH PLEASURE. SO YYMMY. My LO loved it, he wouldn't let anyone touch it. He would eat it as slowly as he could, so it lasts longer as I would only give one a day as a treat. I can relax and not feel guilty when giving it to my son. 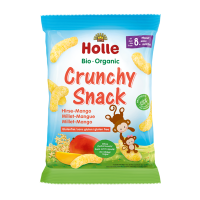 My son is absolutely loving these, such an easy snack to pop into a lunch box. And organic of course which is great!! My daughters favourite! Perfect as a dessert after a meal. We also take them with us on a day out as they are great size and not too messy to eat out. The taste really good also the size is perfect for small snacks between meals.